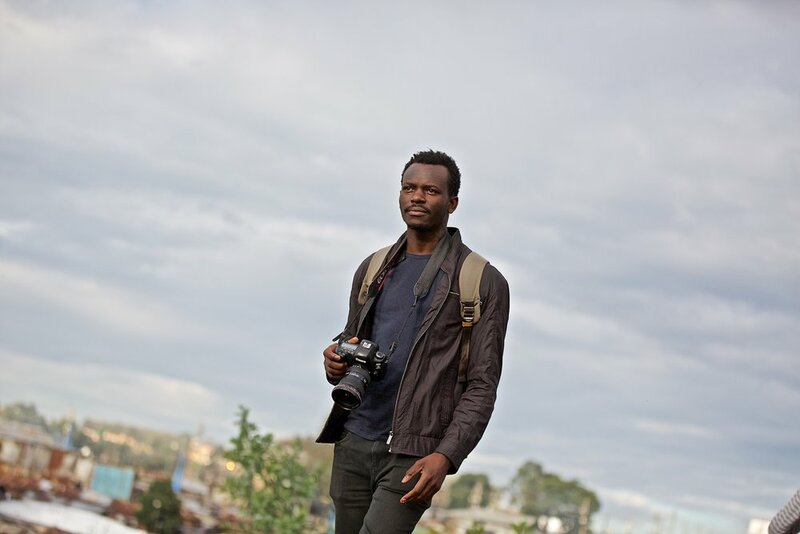 So it’s not surprising that we connected with Kibera photographer Bryan Jaybee (@KiberaStories) on Instagram when we noticed that some of his photos were in the exact same location in the Kibera Slum that the we’d shot before in 2012. 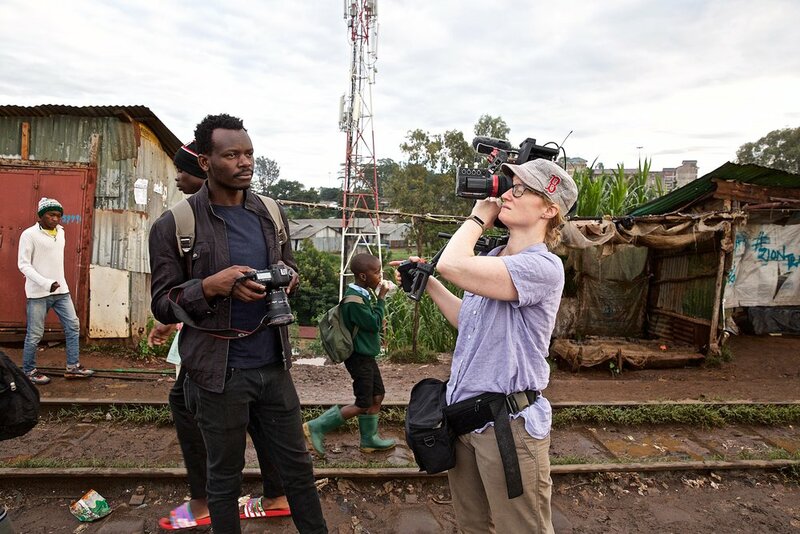 Fast forward to a 2018 trip to Kenya joined by the amazing photographer Lou Bopp. We found ourselves with a day off and on whim, we messaged Bryan to meet up with him. We’d never met him in person before - and our driver was hesitant to take us to the slum but Brayn told us he’d show us around and to come at daybreak to get the best light — so off we went. The morning we met him was a perfect example of the shared language of photography: clashing cultures that came together over a total camera geek-fest with us waving our 5D Mark IV’s around and talking equipment while Bryan led us to the best sunrise spots in Kibera. We decided to come back later in the day and do a profile on him and capture how he sees Kirbera and the world around him. We’re working on developing this short documentary now and can’t wait to share it with you. Traveling to new places to explore new stories and make connections with different local filmmakers and photographers is one of our tentpoles as a company. We not only try to capture authentic curiosity, but we live it.